Weeds tend to appear out of nowhere. Just when you think you have gotten them all, a new one pops up in some secluded corner of your lawn and spreads its seeds all over once again. If you have encountered this problem and spent hours pulling up endless weeds only to find them returning to your lawn, you may be wondering if there is any way you can prevent weeds from growing in the first place. 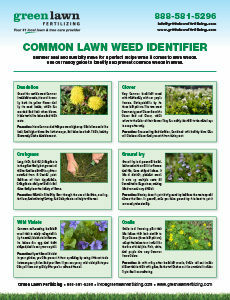 While the odd weed may still crop up, there are measures you can take to minimize weed invasions on your lawn. 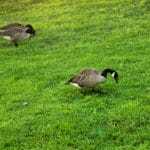 Bird and Animal Droppings – When birds and animals eat weeds, berries and seeds out in the wild, they may transfer them to your lawn through their excrement. This can lead to all kinds of unexpected plant appearances, including, very occasionally, welcome ones such as attractive flowers. The Breeze – Many plants cleverly design their spores to be transportable via even the most gentle breeze, which can carry them a few feet or a few miles, depending on its strength and the altitude where the seed starts out. 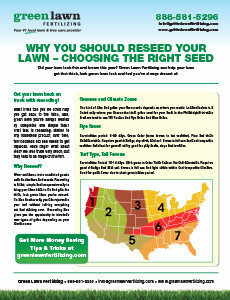 Hidden Roots and Seeds – Over the years, weed seeds and roots inevitably get left behind in the soil. Even if you don’t see them, there are usually many just below the surface, just waiting to gain access to the air and light they need to grow. So how do you combat forces like the wind, the past and the random wanderings of wild animals? Well, frankly, you can’t, but you can protect your lawn from them, and hopefully keep weeds from showing their faces that way. Find out how in the following section. Weeds on your lawn don’t have to be your problem this year. 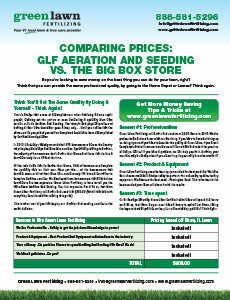 Just use the following methods of weed prevention to cultivate a neater, more uniform lawn than ever before. 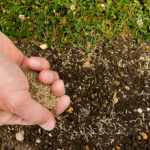 Aerate and Fertilize – Aeration and fertilization treatments will attract earthworms to your lawn, which will “turn” the soil naturally underground and keep lurking weeds from reaching the sunlight they need to grow. Fertile, loose soil also helps to discourage many weeds that thrive in nutrient-poor, compacted soil. 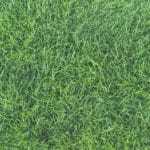 Use Landscape Fabric – Landscape fabric is used on many lawns to cover soil that surrounds trees, shrubs and other plants and to physically block weeds from growing upwards, while holes are cut in the fabric to allow your chosen plants to poke through. Pull Weeds Out by the Roots – Using a weed-puller or other lawn tool with prongs will help you to more effectively grip weeds at the base and pull out every part of them so that they can’t grow back next year. If your lawn is once again infested with weeds and you don’t have the patience for them this season, call Green Lawn today. 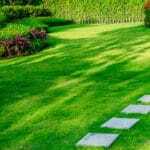 We provide lawn care and weed control services such as fertilization and aeration to lawns throughout the Philadelphia tri-state area.